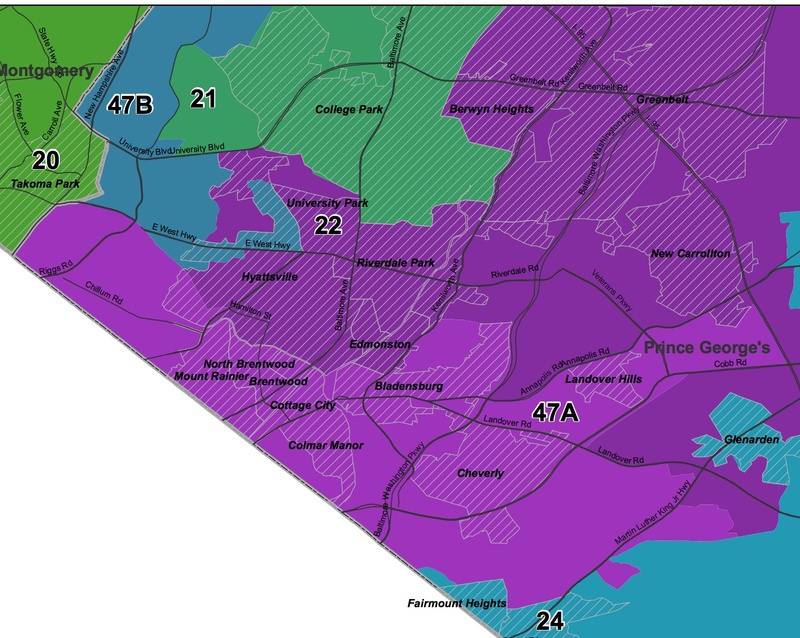 This dual member district is home to what’s shaping up to be a bloody primary in this district home to several Prince George’s municipalities, including Bladensburg, Brentwood, Cheverly, Colmar Manor and Mt. Rainier. Mt. Rainier City Councilman and Communications Workers of America (CWA) national bigwig Jimmy Tarlau faces 2010 Candidate Diana Fennell. Fennell, an African American, has demographics on her side. Jimmy Tarlau combines a national profile in the labor community with local roots. He’s out raised Fennell by a wide margin as well. I suspect CWA will play in this race with independent expenditures. Fennell is on incumbent Sen. Victor Ramirez’s ticket, but I think Tarlau can pull it off. Michael Summers, although a weak fundraiser, is safe. Should There Be Rent Control Near the Purple Line?